Whether or not it’s explicitly taught, social emotional learning occurs naturally. Students learn how to play, share, communicate their needs, and listen to the needs of others. Unfortunately, without leadership, students’ social emotional learning will be stunted. However, with a little guidance and smart curriculum choices, instructors can teach social and emotional skills to their students without even changing the subject of their lessons. And the results are even more pronounced in the classroom setting. Countless studies have shown that SEL benefits students by boosting self-esteem, giving students a greater sense of purpose, cultivating stronger relationships with peers and staff, reducing behavior problems and emotional and distress, and improving grades. By understanding SEL as a skill-building endeavor, it becomes clear that all students can learn to be better social beings. Here are the five skills that you can expect students to learn with the effective implementation of a social emotional learning curriculum. Understanding what’s happening within oneself is the most fundamental step to better relating to others. When students are in touch with themselves, they know their strengths and areas of growth while remaining grounded with self-efficacy and a positive mindset. Meditation is a great way to cultivate self-awareness and it enables students to be more aware of the interrelatedness of their thoughts, feelings, and actions. Social emotional learning gives students the ability to identify and regulate their feelings and actions. This can be especially helpful for young students who may just act out of complete spontaneity. Self-managing students allay stress, control impulses, and demonstrate grit in the face of hurdles to achieve goals. Once students really know what it feels like to be glad, sad, mad, etc., they have a greater capacity for empathy and compassion towards their peers and staff. Even when they encounter people who are very different than them, students who participate in social emotional learning will find common ground. 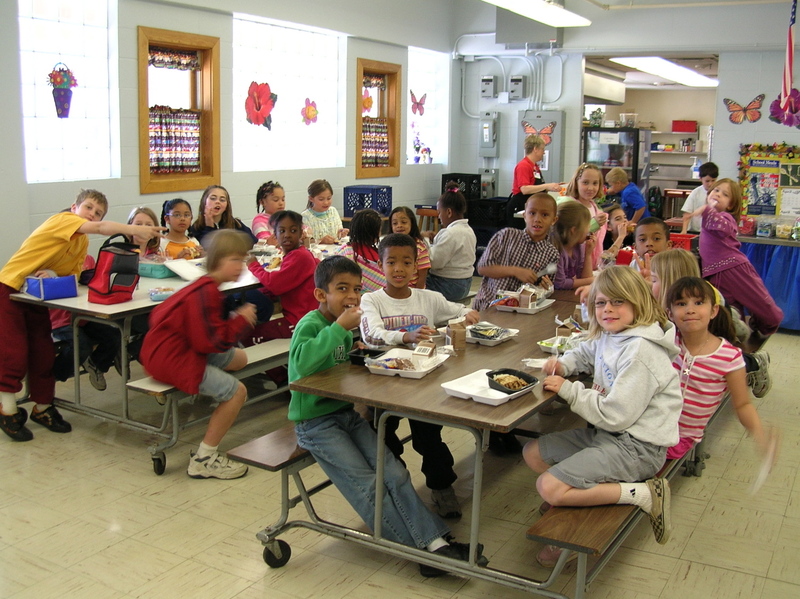 SEL also makes children more receptive to picking up cultural norms and etiquette. Speaking clearly, listening well, collaborating, resolving conflict, and resisting peer pressure are a few skills that can be learned from SEL. A strong repertoire of relationship skills allows students to build and maintain social ties without sacrificing their own sense of self. Perhaps the most difficult of the five social and emotional learning skills, responsible decision-making comes with time, but can be promoted by modeling and good leadership. Students who learn good decision-making will take into account morality, safety, and social norms when considering an action. However, to maintain a growth mindset, students must always be given the opportunity to reflect and learn from any decision they make. Teaching SEL doesn’t need to be explicit. You don’t have to spend a whole class day talking about self-management. In fact, we’ve found that SEL is most effective when embedded into content-appropriate lessons. For example, a biology class can discuss the effect of building dams on local communities or an English class can analyze the actions of a particular character and give suggestions for how he or she could have acted more appropriately. 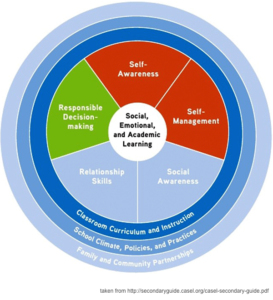 To learn more about SEL as well as techniques for your classroom, check out the Collaborative for Academic, Social, and Emotional Learning.